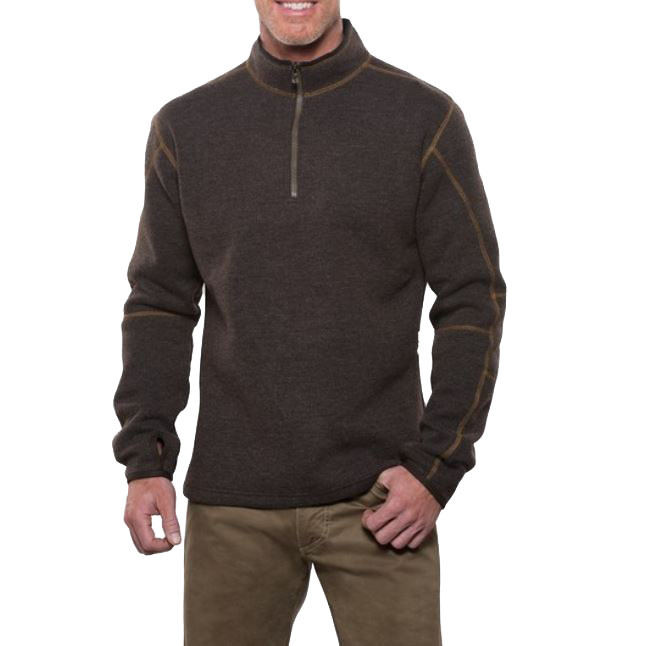 "The KuHL THOR 1/4 ZIP SWEATER is made of Chianti fleece, an exclusive blend of wool and micro fleece to give you the best properties of both fabrics. The wool outer face has a rich texture, while the polyester inner wicks superbly, dries quickly, and retains its shape for easy care, wash and wear. The 1/4 zip style allows you to cool down or heat up with a quick zip, while also reducing the weight compared to a full zip sweater. The Swiss-made Riri zipper provides quality and reliability. The KuHL THOR 1/4 ZIP SWEATER features underarm gussets for improved mobility, and KuHL's signature thumb loop holes help seal out the cold.